On Wednesday night's episode of Bravo's Watch What Happens Live, legendary supermodel Naomi Campbell was quick to express her feelings about certain celebrities when asked about them directly. The famously outspoken beauty threw some undeniably clever shade at feuding rappers Cardi B and Nicki Minaj, and model Kendall Jenner, who she read with two simple words. When a viewer called in to ask Campbell what she thought of Jenner being the highest-paid model today despite her admitting that she could never do 30 shows runway in a single season, Campbell quipped, "Next question." However, later in the show, Campbell had nothing but praise for friend and colleague Cindy Crawford's 17-year-old daughter, up-and-coming model Kaia Gerber. "She's adorable. I'm quite proud of Kaia," she gushed, and also commented on the aspiring model's strong work ethic. 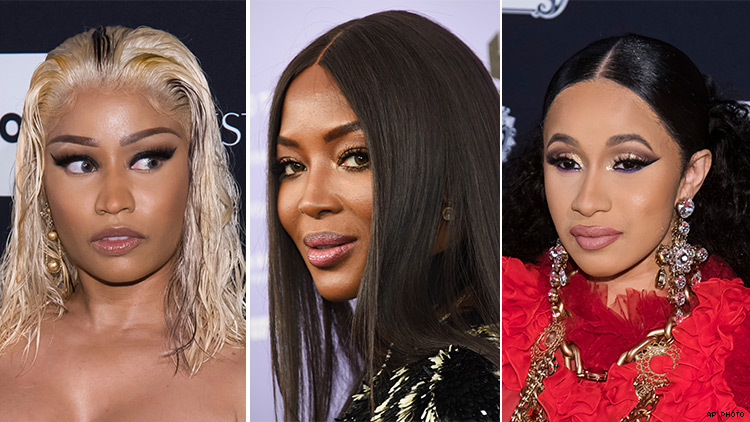 The shade session continued when host Andy Cohen asked if Campbell had attended the recent Harper's Bazaar ICONS party, where Cardi B threw her shoe at Nicki Minaj. "No," said Campbell. "It was called the ICON party, but there were no icons there." Campbell told Cohen that she and friend and fellow supermodel Kate Moss were "at home on the couch watching TV," that night. "I was disappointed," she added. "I don't want to see women of color fight. I don't want to see women fight, period."